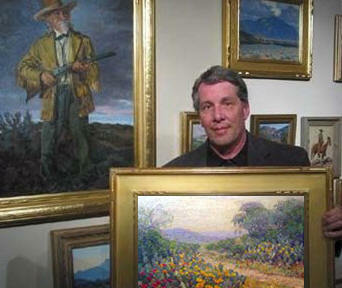 The Art of Mary Bonner"
Richard Plumly's expertise is a result of decades of the study of the art of Mary Anita Bonner. Richard has been a dealer since 1988. 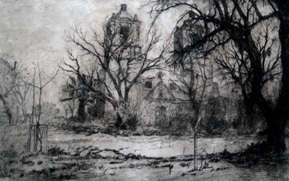 We have sold Mary Bonner's to Texas collectors throughout Texas. VALUATION: Is from the knowledge of marketing every print the artist has created and actively buying and selling her works. 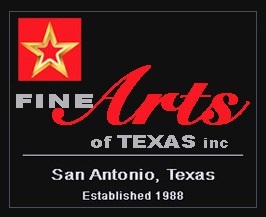 Fine Arts of Texas, Inc. is the number one dealer for her works. An accurate valuation can be achieved with digital images should you not live near San Antonio. 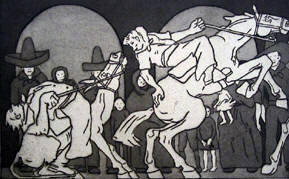 We have purchased MANY Mary Bonner's from digital images relying on our knowledge of the artist . AUTHENTICATION: Authentication can be achieved most of the time with digital images should you not live near San Antonio. Seldom is it necessary for first-hand viewing. 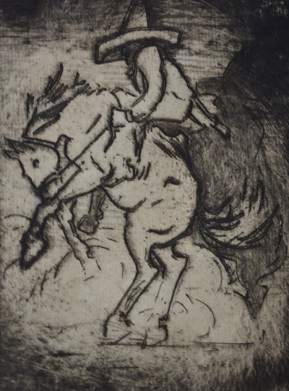 PRIVATE SALES: Email or call if you are considering selling your etching by Bonner or other Early Texas Art.